"What they don’t want you to know." Many among us are under the strong assumption that April 1st is a day to be on guard for mischievous partners and work colleagues who bring with them their bags of flour, fake heart attacks and clingfilm-covered toilets. You’re right to be paranoid, but not for the docile, innocent reasons you suspect. I’m going to blow the lid right off April Fool’s Day for you, to unveil the shocking truth behind the gags, the hidden horrors and the cover ups so good they make the Loch Ness Monster look like a documentary. If homophobia from one of the largest broadcasting companies in the world doesn’t shock your inner being to the core then what about the secret slave labour camps within the European Union itself! Passed off as a practical joke, the existence of these camps was an accidental discovery by the late Richard Dimbleby. The unknown horror echoes through the history of the apparent happy Swiss nation. And what is this travesty you ask? Why nothing more than 24 hour spaghetti sweat farms! They work their employees to the bone, picking their lives away, and for what? The contents of your spag bol! But these are history you say, the dust has settled, and things are better nowadays. You may have heard of the ‘’prank’’ that Simon Cowell’s face was going to be put on a £5 note this year. No, this is not true but what is sadly true is the social experiment ‘they’ are running to drip feed the conceptual notion of a dictatorship by The Cowellmeister over all of mankind. They can get a feel for society’s reaction to the alteration prior to takeover, in order to avoid any militia side effects. Think of the Queen meets Kim Jong-un, but in a white v-neck and high-waisted faded denims. 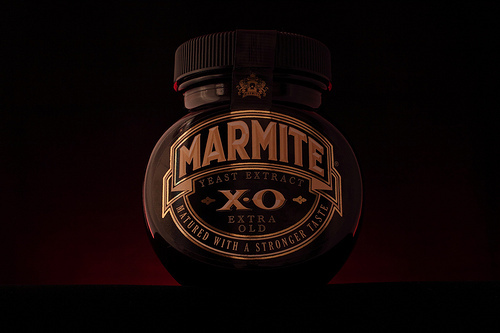 Marmite have ‘’joked’’ about selling a clear version of their debate-fuelling spread. You know what else is clear? Hydrochloric acid, hydrogen peroxide and strychnine. Just saying, watch out for Marmite, if you don’t ‘love it’, it could be the last thing you do. And only the best ‘til last for this year’s jesters. Oh mister government official, do you not know we know just how clever CERN are, they work in particle physics for goodness sake. CERN, in case you’ve been socialising under some stone, have announced they have discovered The Force. Yes, The actual Force. 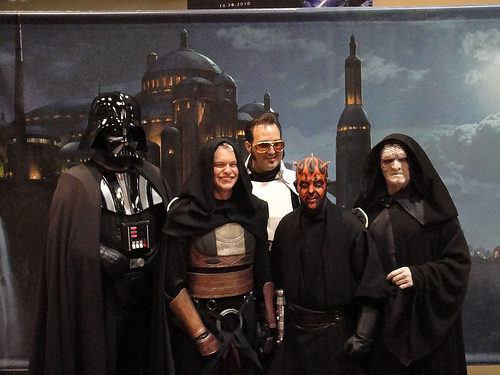 Star Wars fans grab a brown paper bag because this is going to get good. Now we’ve been told to calm down, it’s only an ‘April Fool’, but we don’t fall for that. We know better and as such, I’ve already got my bathrobe soaking in a vat of brown dye and have been scrubbing up on my Ewokese. ‘’Though researchers are as yet unsure what exactly causes the Force, students and professors at the laboratory have already started to harness its power. Practical applications so far include long-distance communication, influencing minds, and lifting heavy things out of swamps,’’ said one particular CERN theorist, Ben Kenobi.